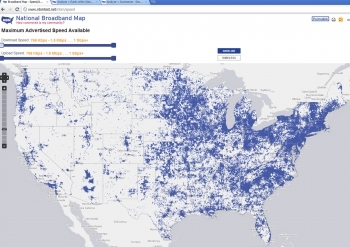 Today Commerce's National Telecommunications and Information Administration (NTIA) launched the first-ever public, searchable nationwide map of broadband access. The National Broadband Map is an unprecedented project created by NTIA, in collaboration with the FCC, and in partnership with each state, territory and the District of Columbia. The map was created at the direction of Congress, which recognized that economic opportunities are driven by access to 21st century infrastructure. 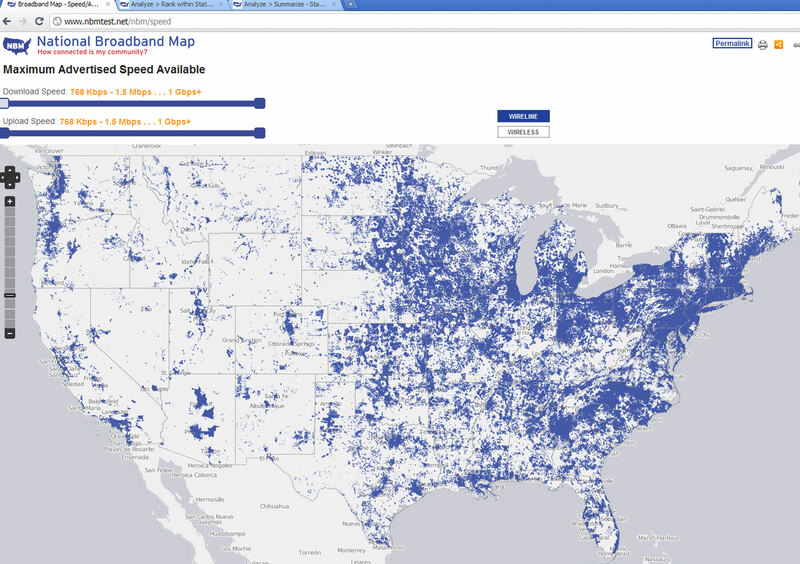 We invite you to explore the many features and functionalities the National Broadband Map offers at www.broadbandmap.gov. To start, search for broadband by address. Or go straight to our analysis tools and compare one area to others, and make sure you spend some time with our maps. Want more? Download the dataset, use our APIs and please tell us how you’re using the data. Submitted on February 18, 2011 - 9:06am. Submitted on March 1, 2011 - 6:35pm. The broadband map was a top search on Google the day it was launched and the website wasn't able to handle the demand. However, things have been upgraded to handle the demand and you should be able to access the website now. Submitted on February 18, 2011 - 3:25pm. I have to commend the Commerce Dept for a good try. However even at my library with high speed internet I found it to be hard to use. I tried to access the map at my home and found I could not even view it with my available internet connection. I agree that there are many internet connections but why go into the detail? I would even be satisfied with a dial up connection that approached 56Kb. As for satellite, if it is so good and dependable why is it not competitive in major metro areas. Nope it is the last resort of rural users. So how about a map that shows broadband / high speed internet, period. You didn't provide me with information I can use, but you did placate internet providers who don't care about their rural customers. This reminds me of the "Rural Electrification Project" under FDR. If the USA had left the task to the electric utilities, the rural farms would still be without electricity or phones.